Can you tell me what these numbers denote – 5, 2, 2.4, 2.3. 2.4 – That is time in seconds that Mi 3 phones took to sell in last 5 flash sales that happened on Flipkart. Popularity of Mi 3 smartphone in India has gone through the roof. Infact, it is so popular that people are now buying them on Flipkart and selling them at premium on sites like eBay, OLX and Quikr. Obviously the demand for Mi 3 far exceeds the available supply. Each Flash sale typically has about 15-20000 units available for sale, while the users wanting to buy it exceed by 5-6 times. Now, an Indian price comparison search engine, Buy Hatke, has come up with a unique feature in their browser extension that will drastically improve your chances of booking MI 3 on Flipkart. Here is what it does – Once you install the buy hatke extension, it will book the phone in automated fashion the second it becomes available. Being a comparison engine, the extension understand the structure of e-commerce website. 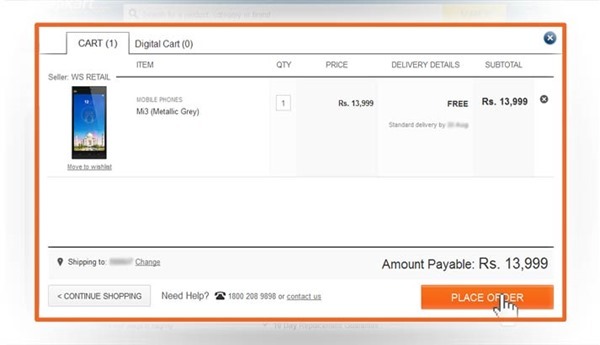 What extension does is, as soon as the timer on the Mi 3 (or Redmi 1S) page converts into “buy now”, it places the order in your behalf. Being done algorithmically, there is absolutely no delay in the click and hence chances of you getting the phone are increased drastically. Here are the steps you need to follow in order to ensure that everything works perfectly. Install buy Hatke addon from the link given here. 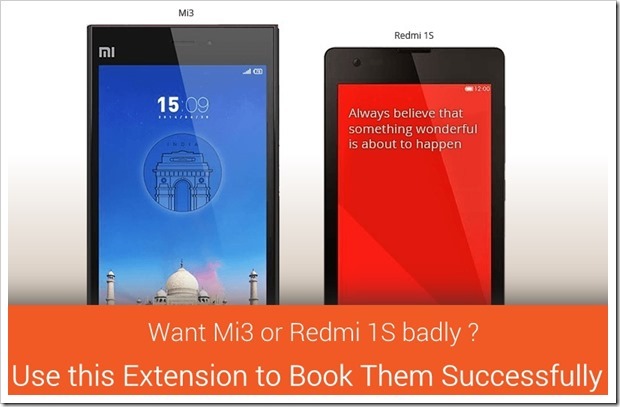 You will need to subscribe to Xiaomi Mi3 or Redmi 1S alert on the extension. You can access it by going to extension options. As soon as time turns to zero and “Buy Now” link is available, it will automatically book it for you and show-up following page. If you do everything correctly, your chances of booking the phone will increase to a large extent. You can check out an actual video from a Extension user who was able to successfully book Mi 3 in last flash sale. Give it a try and let us know if you were able to successfully book the much coveted MI 3 and Redmi 1S phones! I have tried this for Redmi 1s on 2nd Sep 2014. This is not working. I got a message saying ‘Hurry Your Xiaomi Redmi 1s was successfully added to the cart’ but it was not added to cart. This method is not working..
Its..working, I just tested it… It takes you to their site from where you can download the extension..